But the disaster did not stop there. Less than a week after the initial quake, an even more devastating 6.9 magnitude earthquake hit the island. A tsunami alert was issued but lifted shortly after. A number of aftershocks have continued to rock the island, spreading terror and panic to local families and tourists. The aftershocks have been felt in neighbouring islands Bali, Jember and Sidoarjo. We’re sending a team of highly-trained volunteers to assess the situation on the ground in Indonesia. The team, consisting of two Response Team Volunteers, will be working with local Rotary contacts and liaising with local authorities to understand whether and how we can help families severely affected by the disaster. We currently have ShelterBox stock in the region which we could use to support families, if needed. Meanwhile we will continue to monitor the situation, including the aftershocks and their impact. 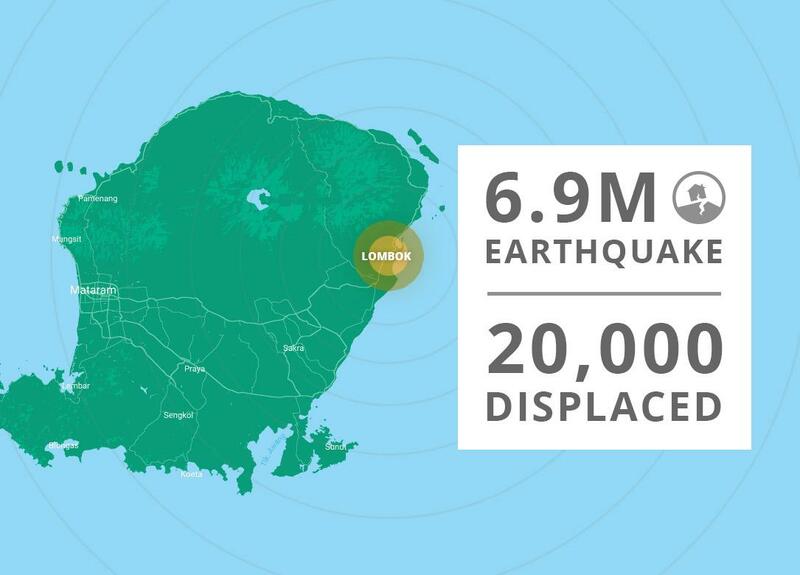 Find out more about the Lombok earthquake and how we're responding in this special update from Alf, our Head of Operations. Whilst tourists are able to evacuate to their homes, thousands of local families have nothing left and are in urgent need of shelter.